equipment and instrumentation is greater than ever. 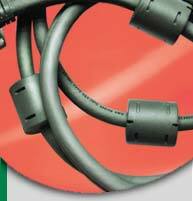 We provide wire harnesses for OEM customers in a wide range of industries—including: process control, telecommunications, gaming, product dispensing, audio and video, computer, medical, health-care, and automotive industry. Whether you need custom SCSI cables, custom Flat Ribbon Cables, or Serial cables, Cir-Q-Tek can deliver the right solution. To ensure that you receive quality products and processes, we utilize both domestic and off-shore facilities that are ISO9000 & QS9000 certified. The end result? You get a cost effective, high volume cable solution that meets your needs and budget.